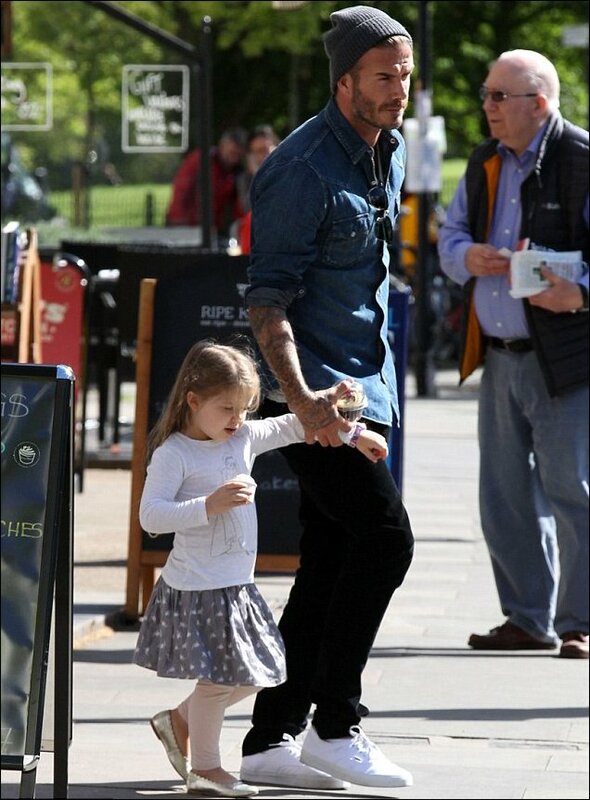 David Beckham took daughter Harper Seven, 3, for an ice cream treat in Primrose Hill, London on Tuesday May 12th 2015. He and wife Victoria are also parents to Brooklyn Joseph, 16, Romeo James, 12, and Cruz David, 10. This entry was posted in Dad and Child Photos. Bookmark the permalink.